The legionaries are nearly all from New Line Design but the figures are otherwise a mix of A.I.M, Magister Militum and Pendraken. 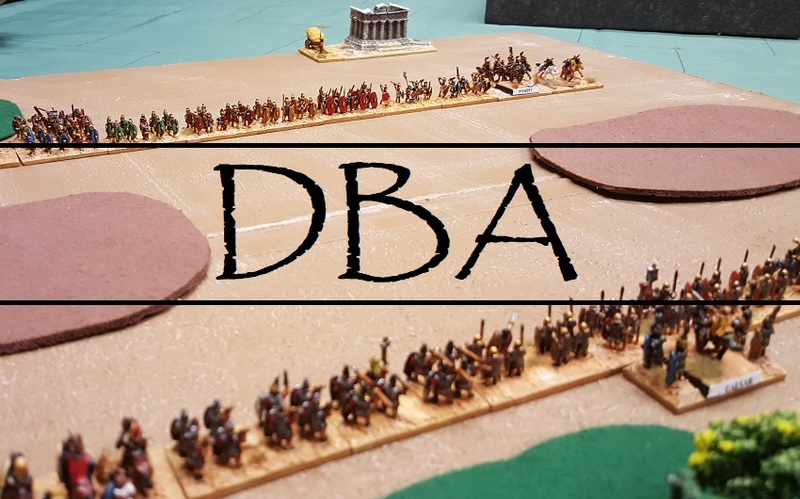 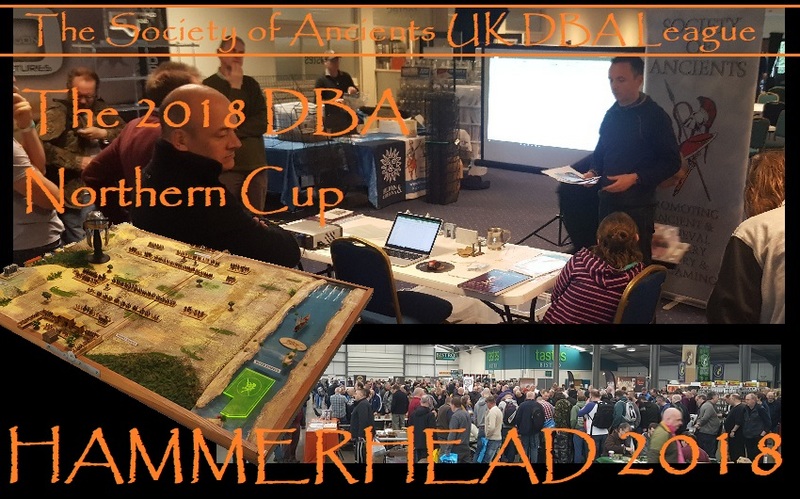 No update on what's going on round here would be complete without the local DBA games that we use to keep our ancients collection in use and fill in the odd Monday night. 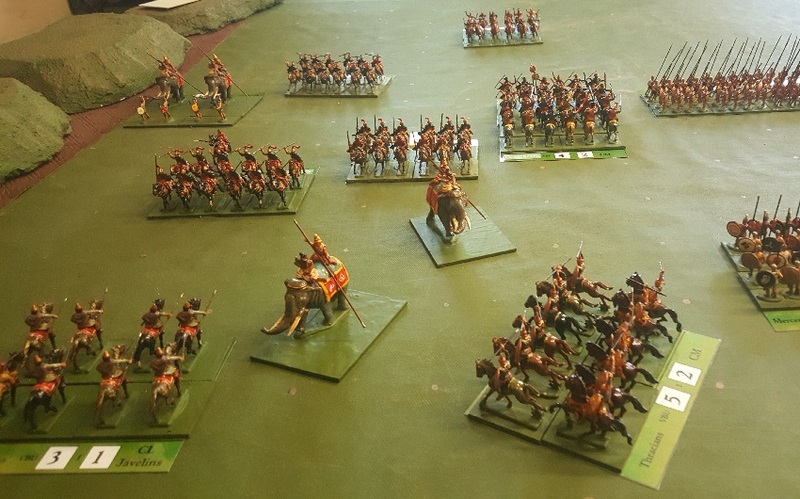 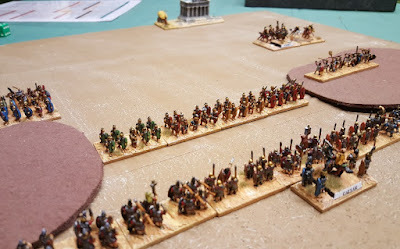 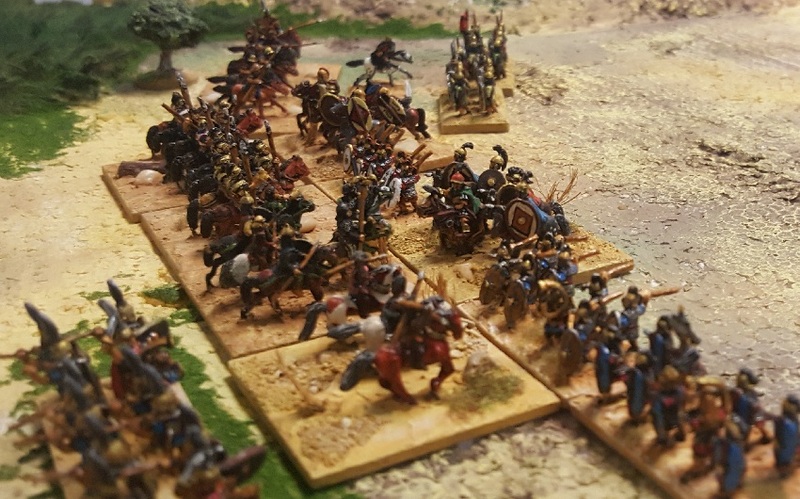 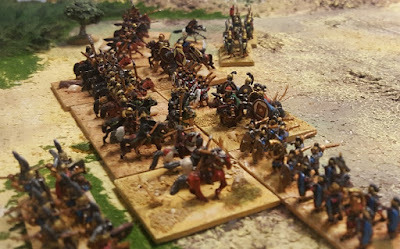 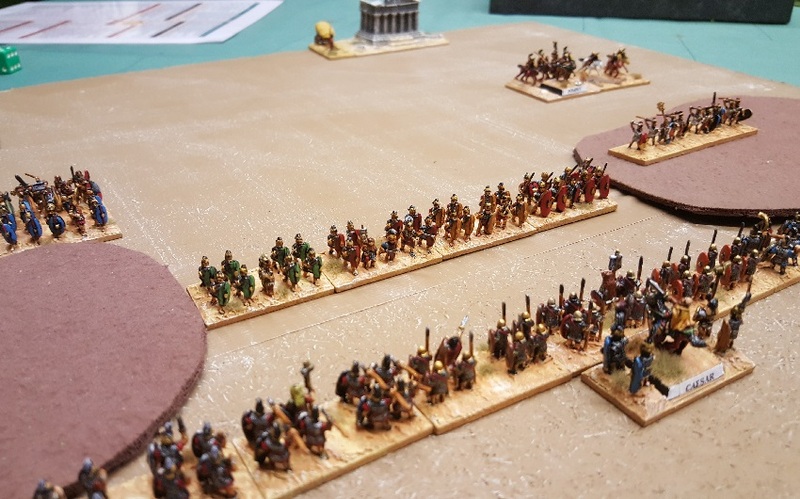 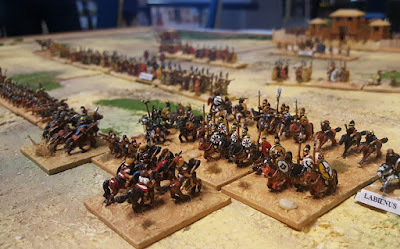 My Goths took on Treb's Byzantines ... both 15mm armies had been stood down for a while so it was good to get them fighting. 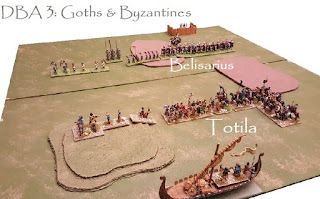 I think Belisaruius was a bit slow to come up from reserve. 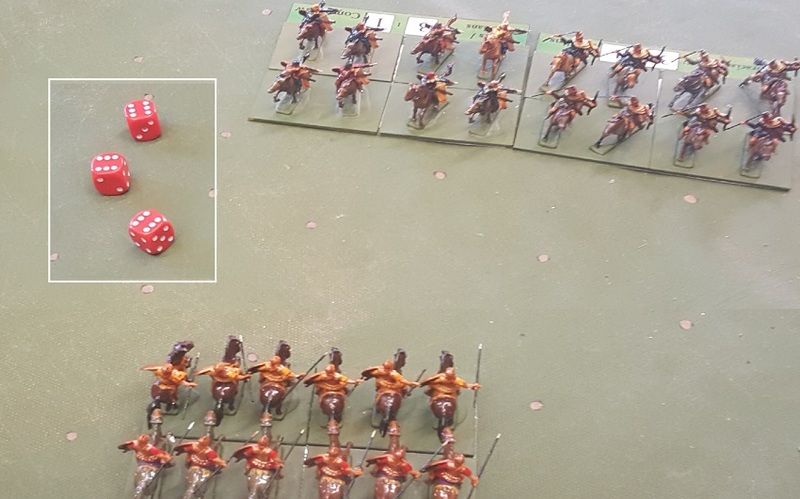 It didn't go well. Treb's 15mm Burmese and Khmer ... this was the start of our conversation. I recently played with and lost with Burmese at the Northern Cup. I got the Khmer this time. 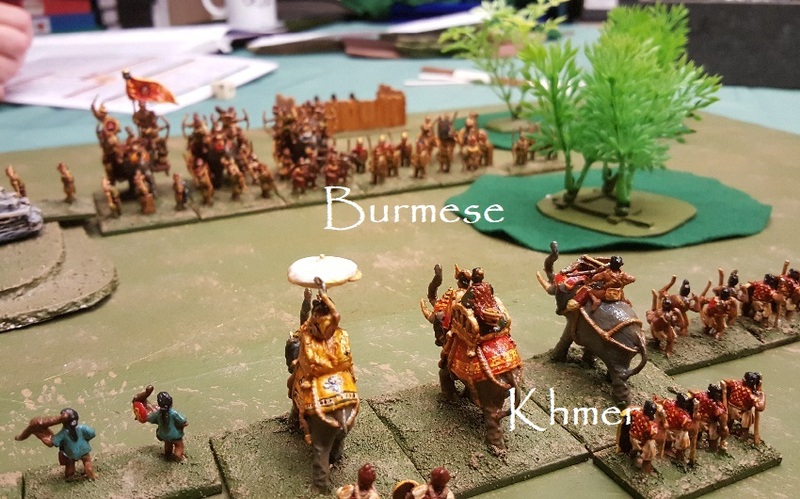 The Burmese still lost. 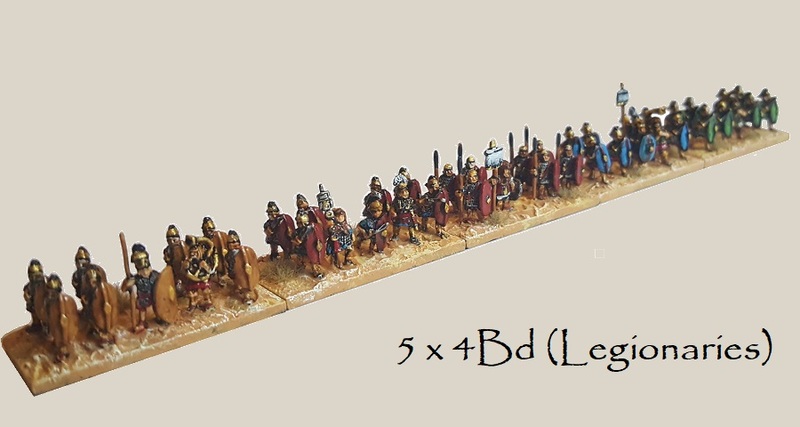 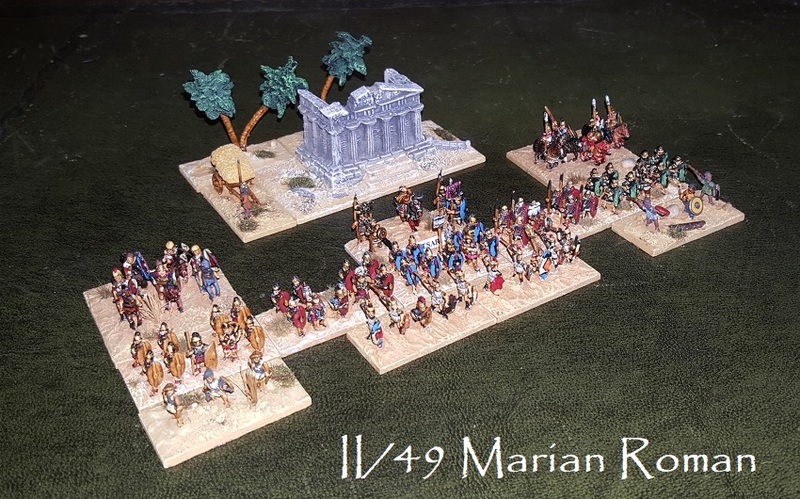 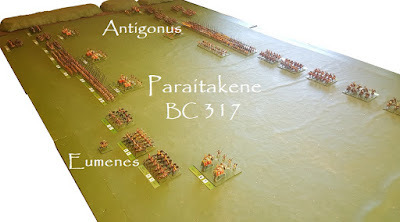 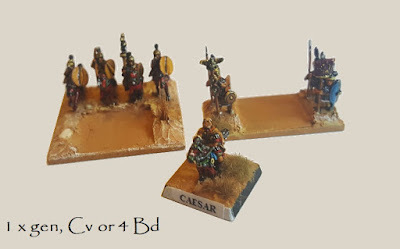 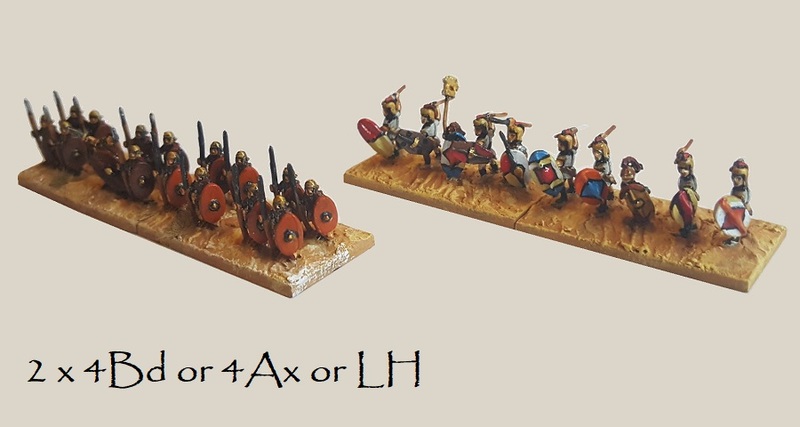 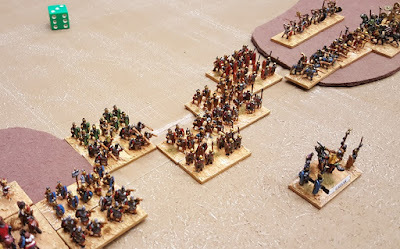 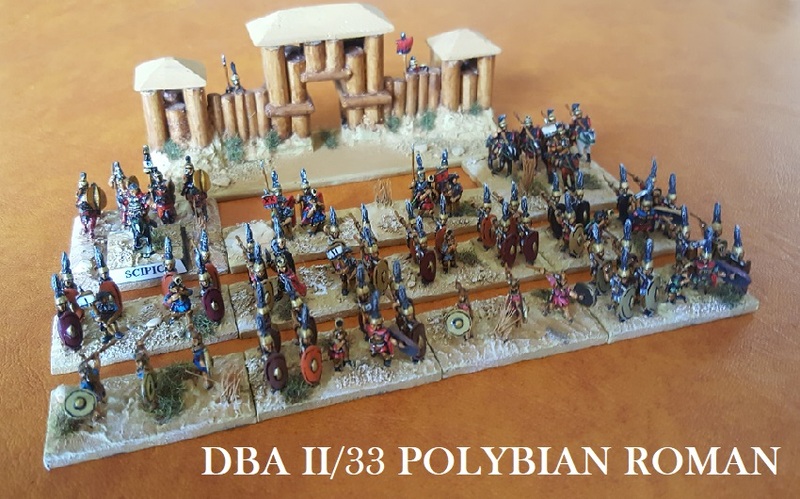 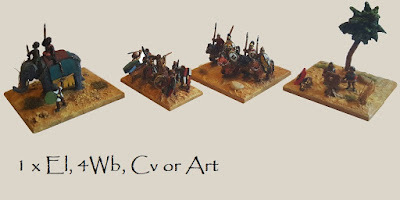 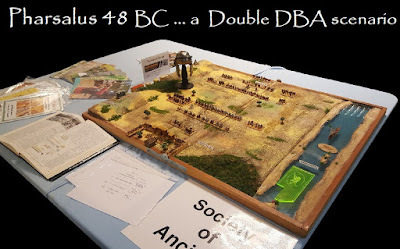 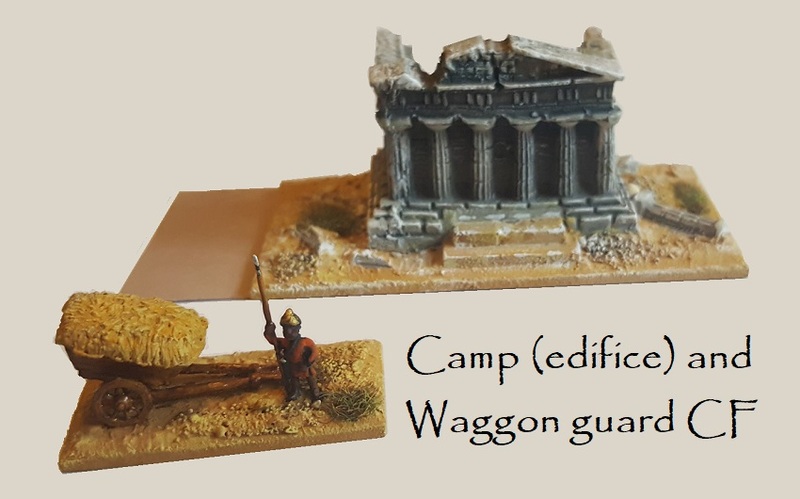 This is my 10mm Pharsalus set respun as a 'by the book' 12v12 DBA table. 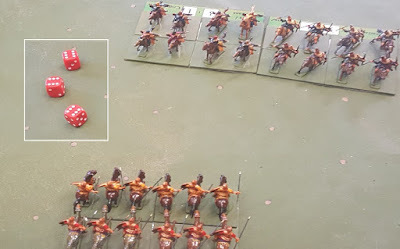 Treb rolled a 1 as defender so the plough he assumed would be irrelevant wasn't. 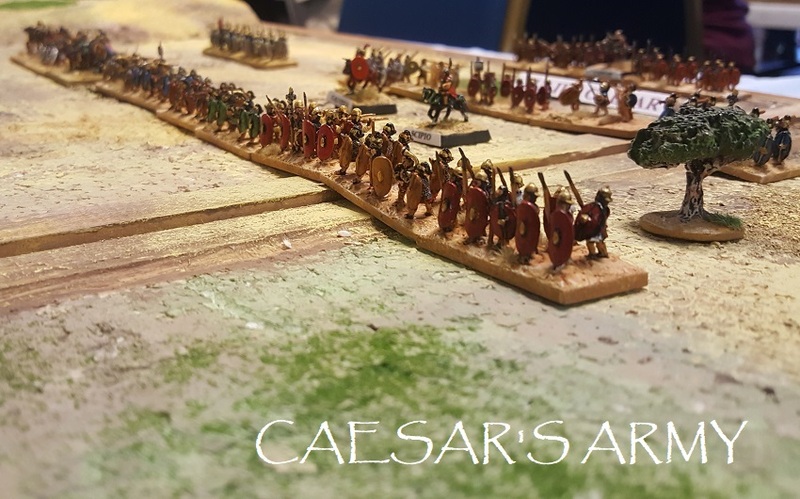 I thought I had this one as Caesar ... Pompey let the muddy ploughed slow his flanks so ended up with is centre over-exposed (or so I thought). 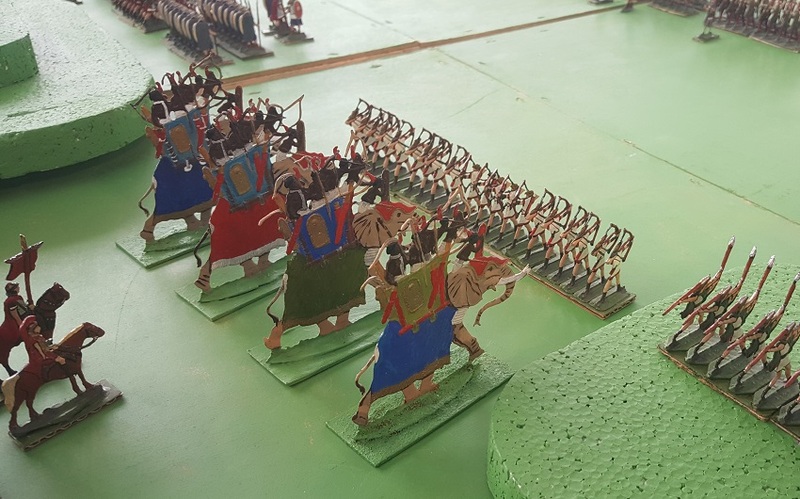 I felt ready to pounce. It was a good game. romans are hard to beat ... even with Romans. 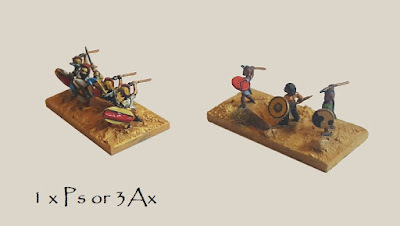 We usually collect armies in battle related pairs. 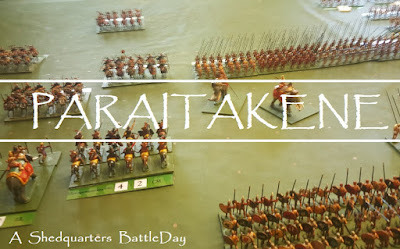 After a while in the planning, on the 19th May, we played the Shedquarters Paraitakene game with Basic Impetus. 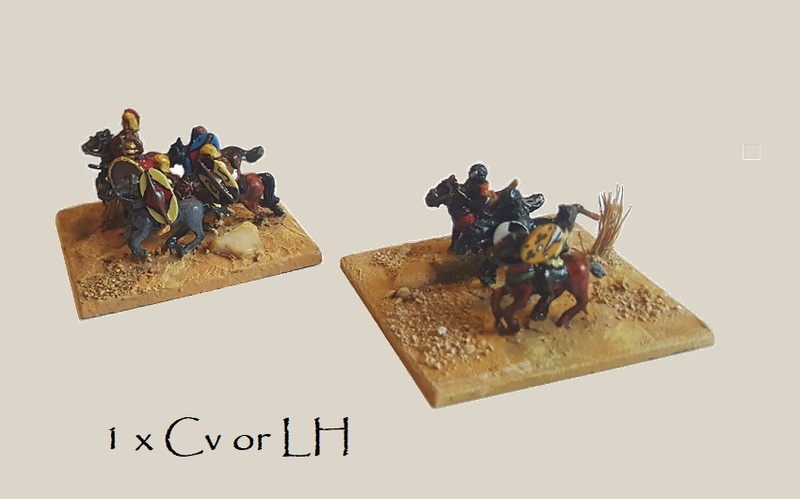 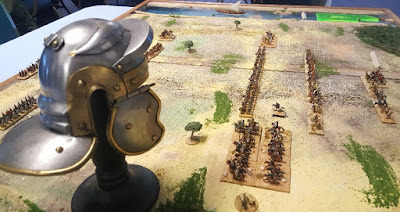 Here, I'll post a few pictures, comment that I think Impetus better suits Medieval games ... comment that I like Basic Impetus but that our Paraitakene game was so blighted by wild die rolling that it was difficult, at times, to hold the narrative together. 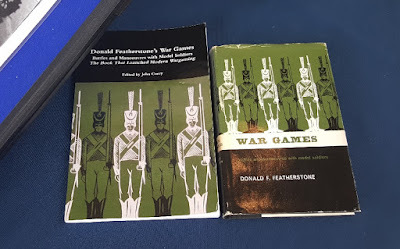 ... which is fine. 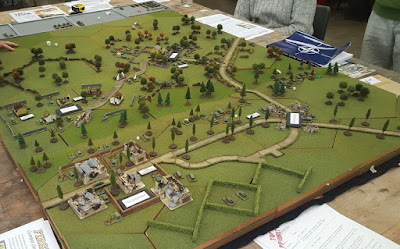 There were some amendments ... evading was cleaned up (and played out very sensibly ... well done, Treb. ), the elephants were toned down (and the Silver Shields improved a bit). 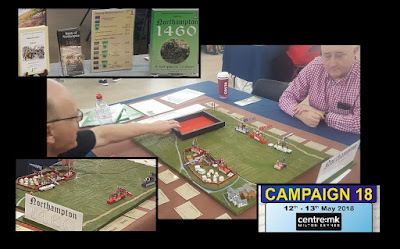 A lovely game but not the most historical when viewed alonside the games at Bletchley. 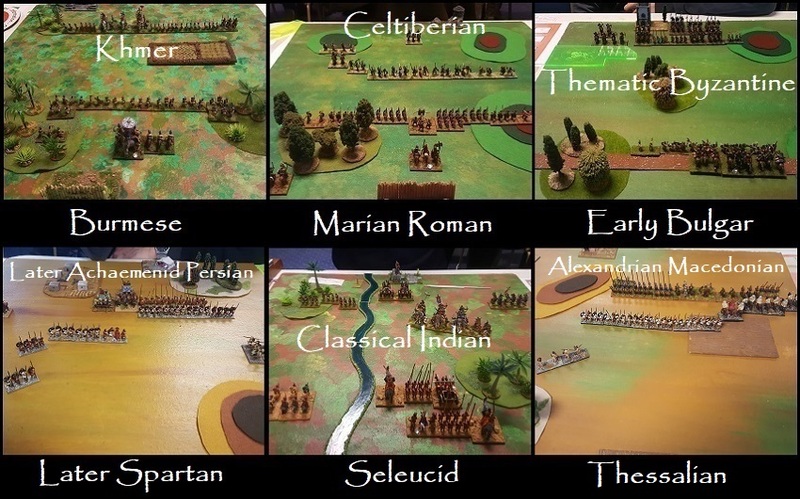 Time to get your favourite game represented. 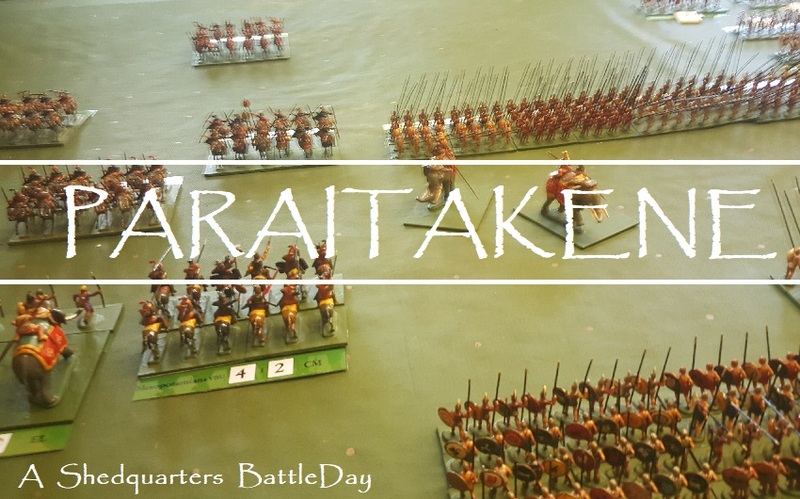 The main 2018 BattleDay report. The astute will recognise the date - yes we were 'Royal Wedding Dodgers' .. 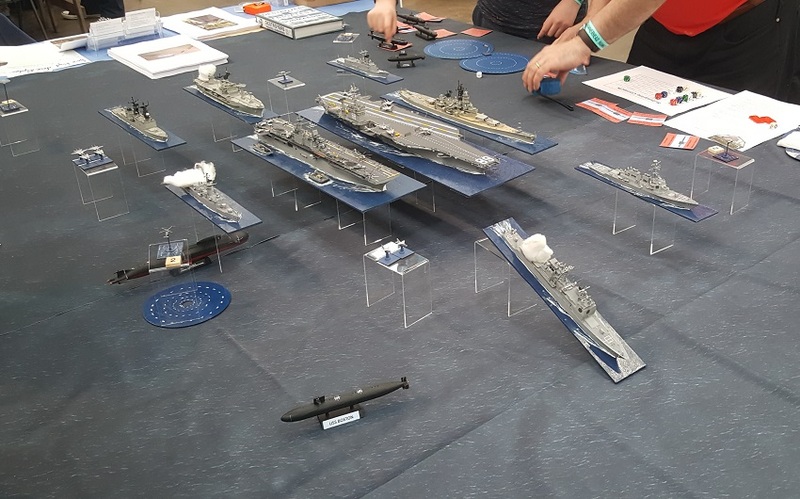 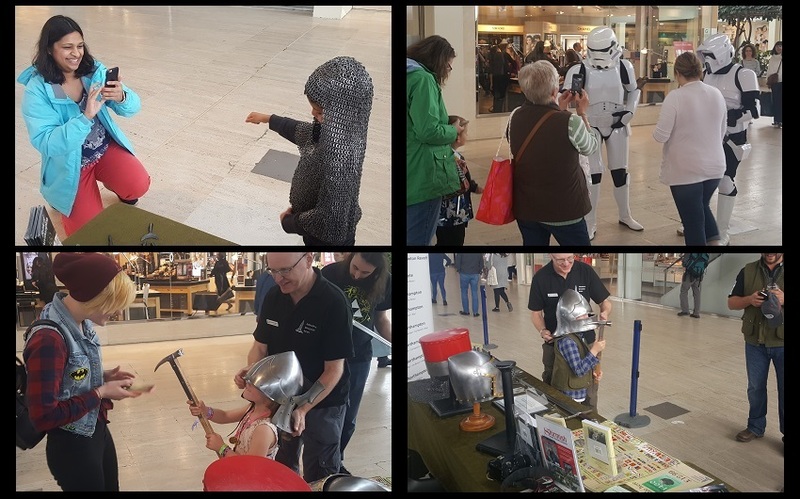 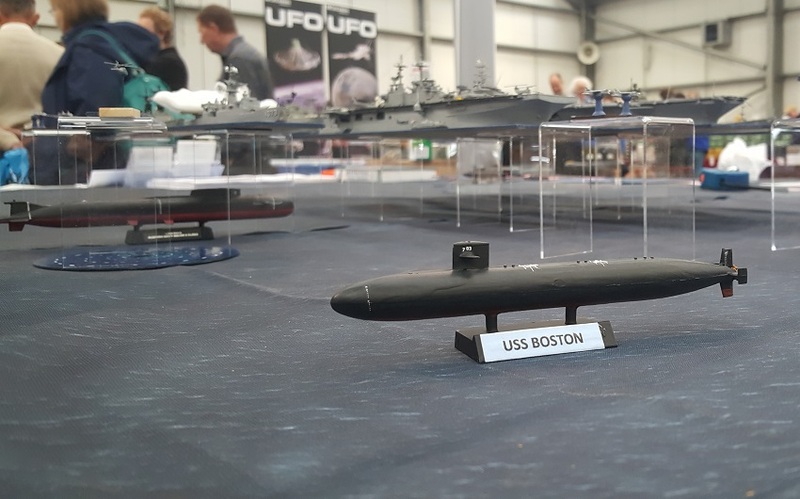 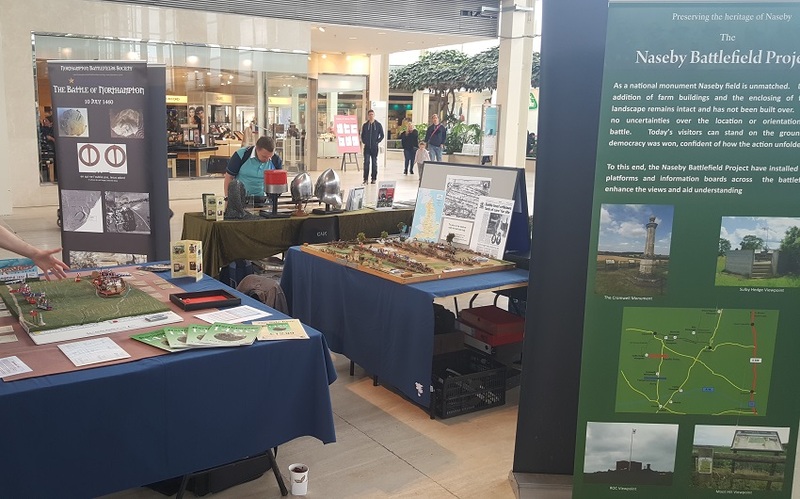 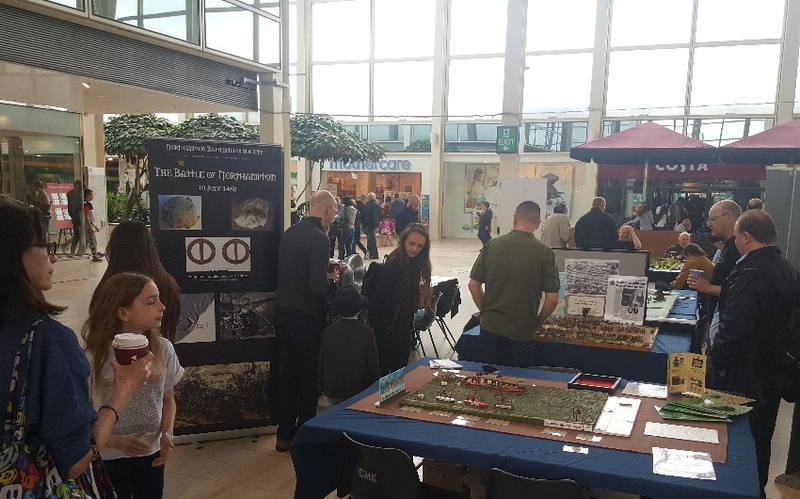 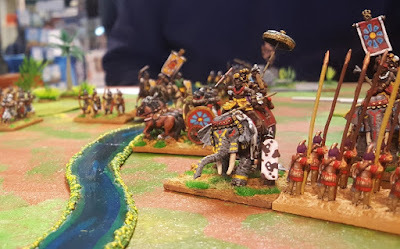 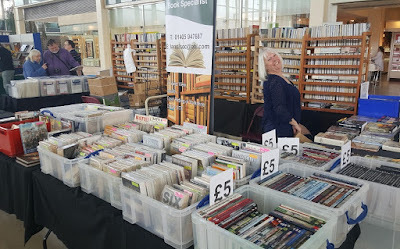 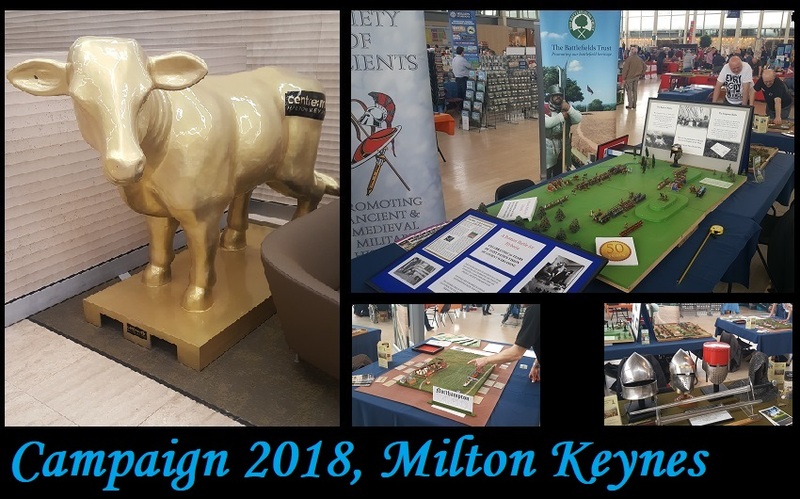 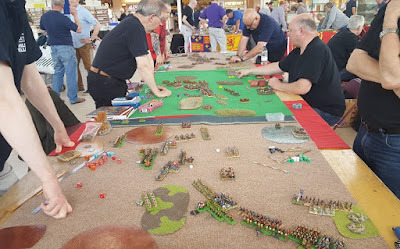 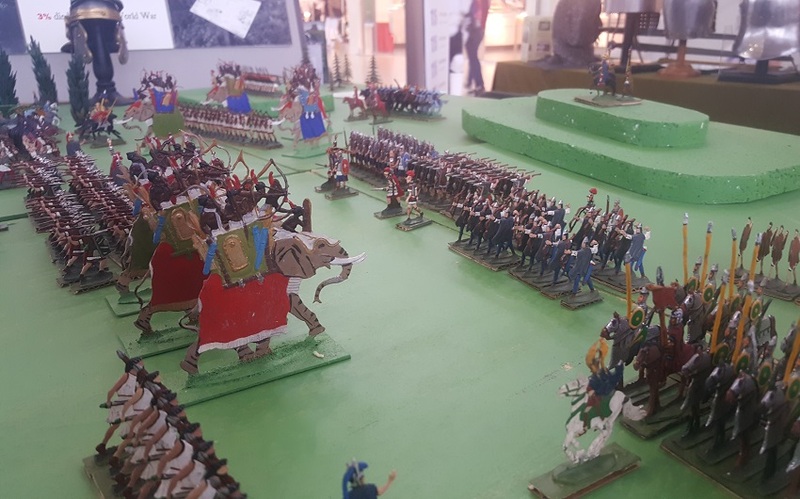 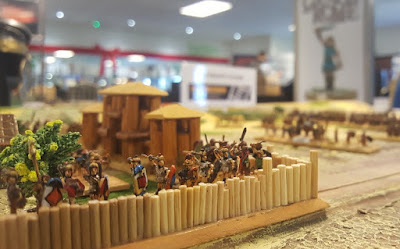 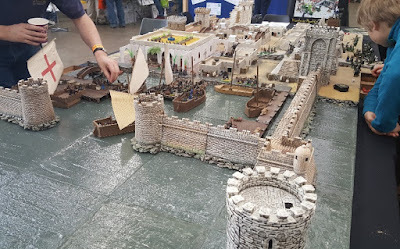 Yes ... as 2018 rushes by, last weekend was spent in the middle of a shopping centre meeting the public as exhibitors at MKWS's unique free wargames show. 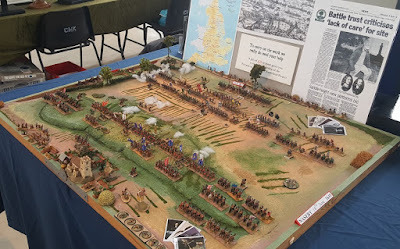 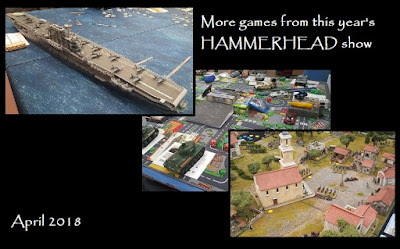 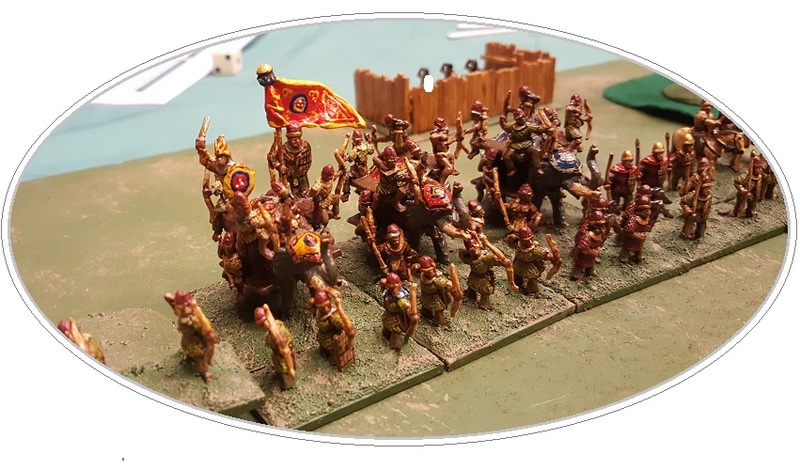 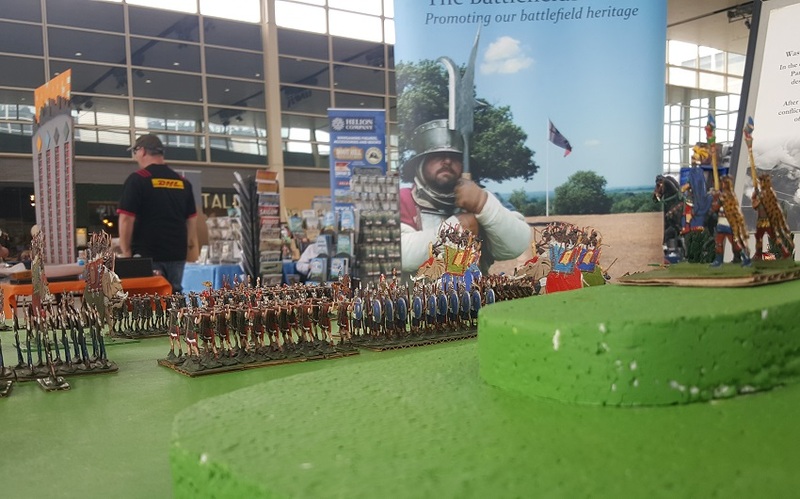 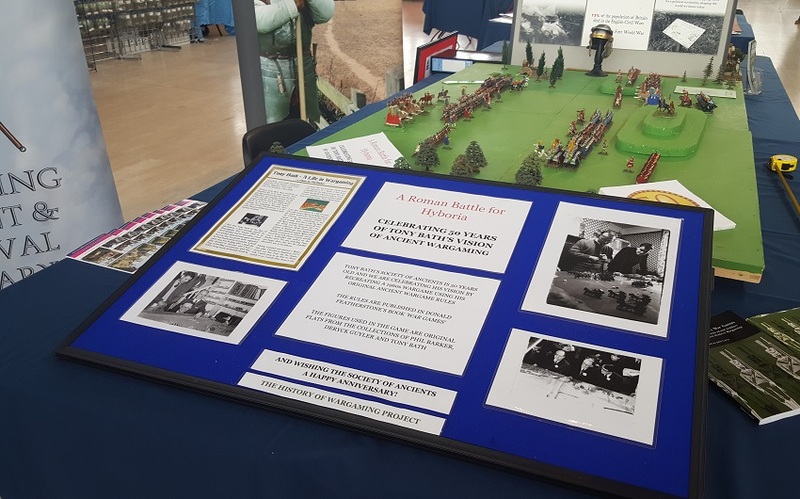 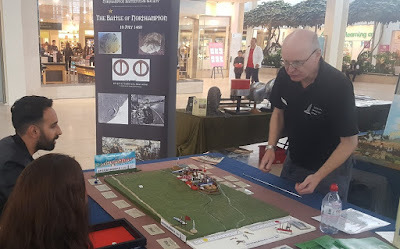 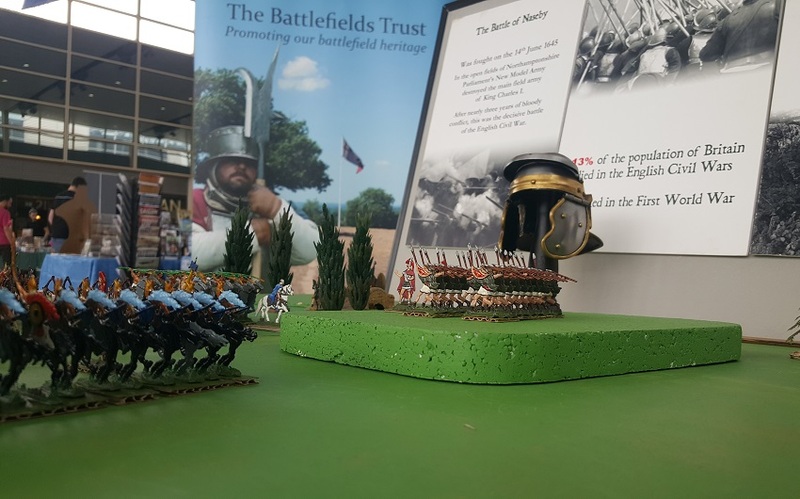 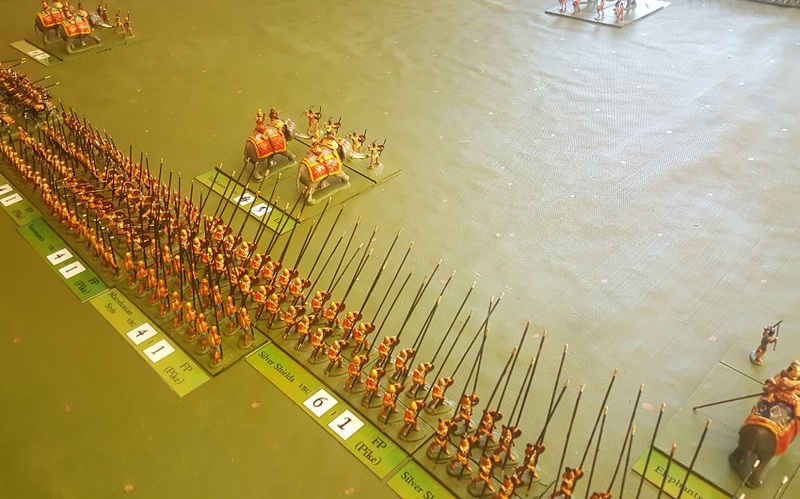 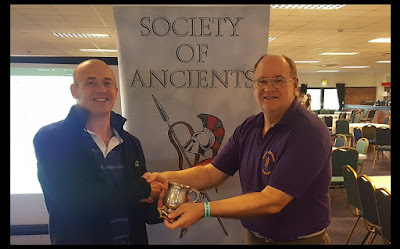 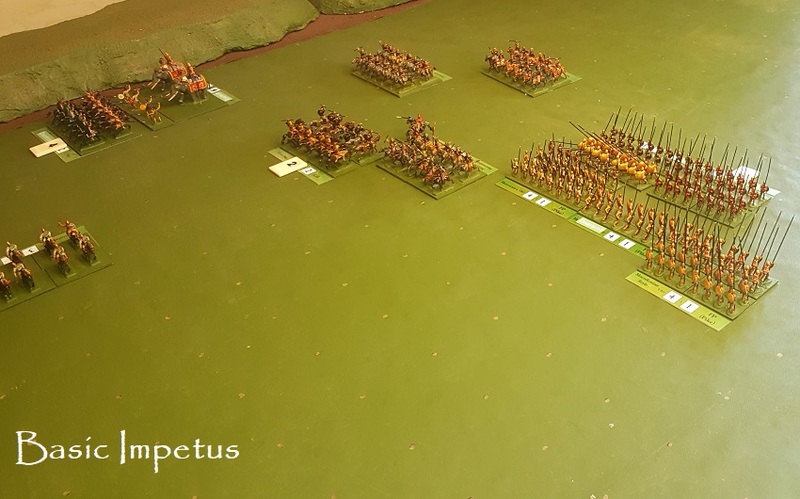 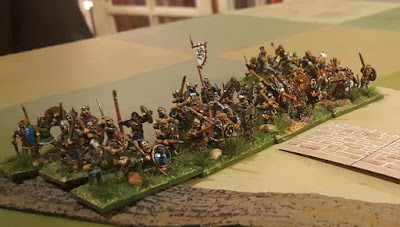 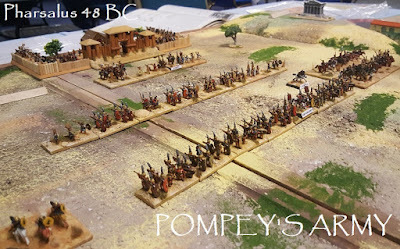 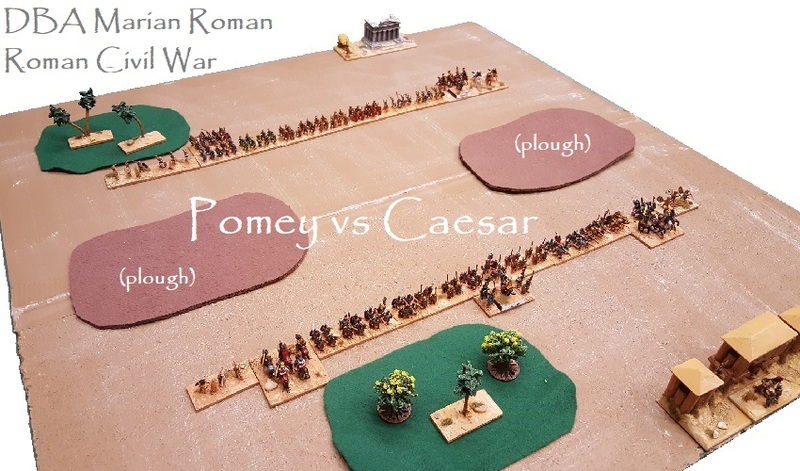 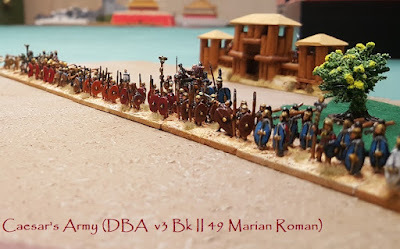 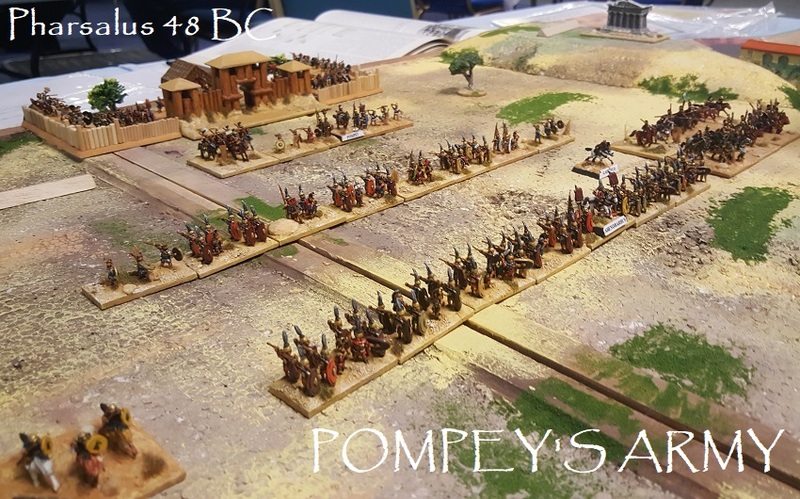 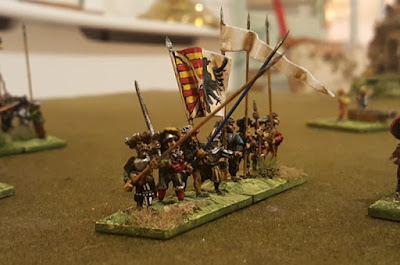 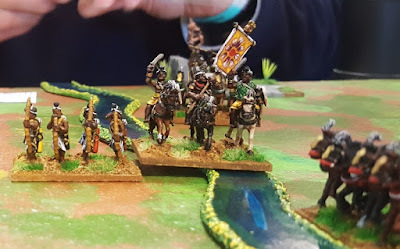 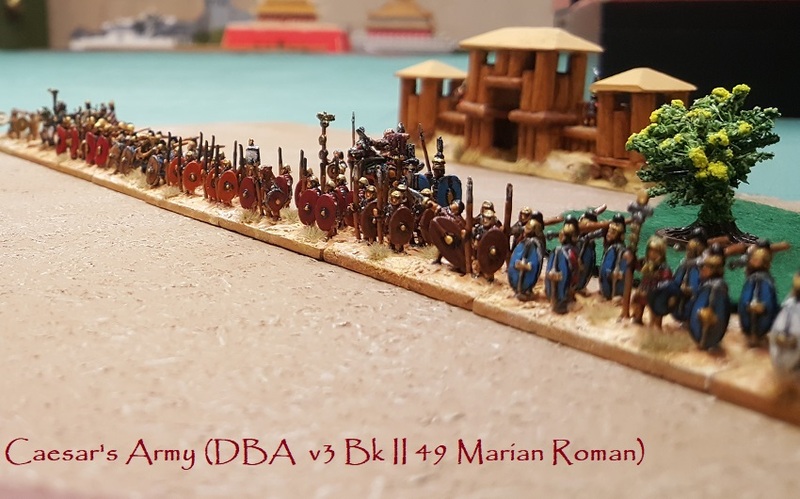 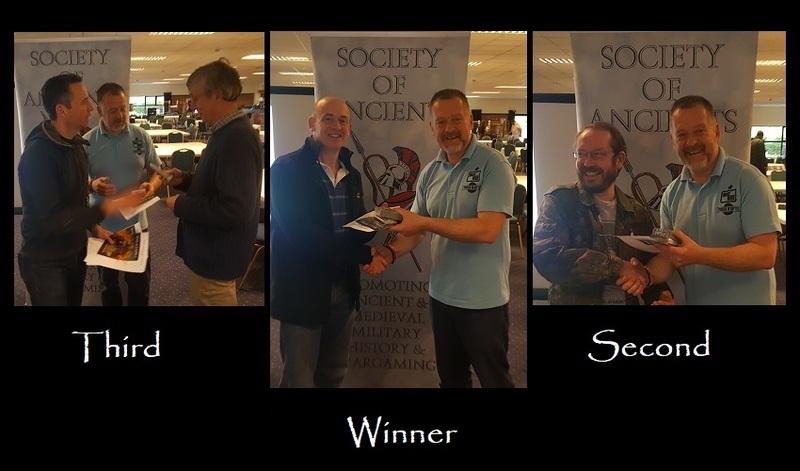 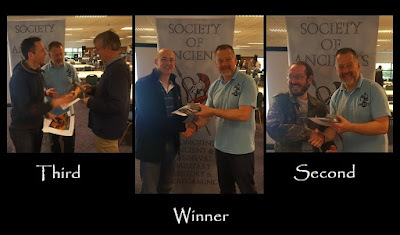 At this time of year we combine up as The Naseby Project, The Battlefields Trust, Northampton Battlefields Society and The Society of Ancients ... basically historical wargaming and battlefields history. And we hope to get people interested. 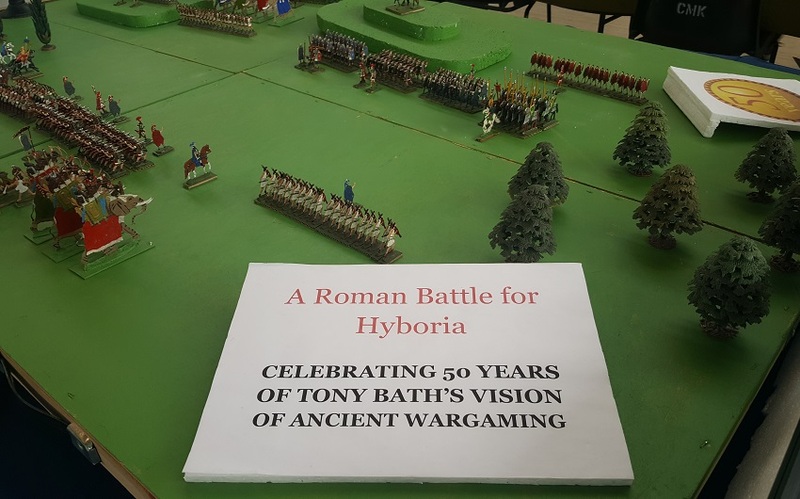 Although politicians, news organisations, pundits and statisticians institutionally ignore it, this is the kind of thing that interests people. People love their heritage and, in all the shows and events we do, I've yet to meet a member of the public that didn't care - and, where heritage is under threat, who didn't think 'something should be done'. So it's important we get out there and let them know what is going on. 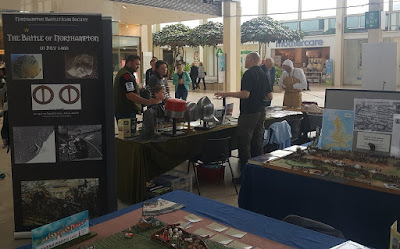 People care. Mostly, though, they just don't know. For the SoA we took along the Tony Bath 'flats' game (which hasn't been out for a while and which hasn't been to Milton Keynes before) ... the repsonse suggested it was a good choice. 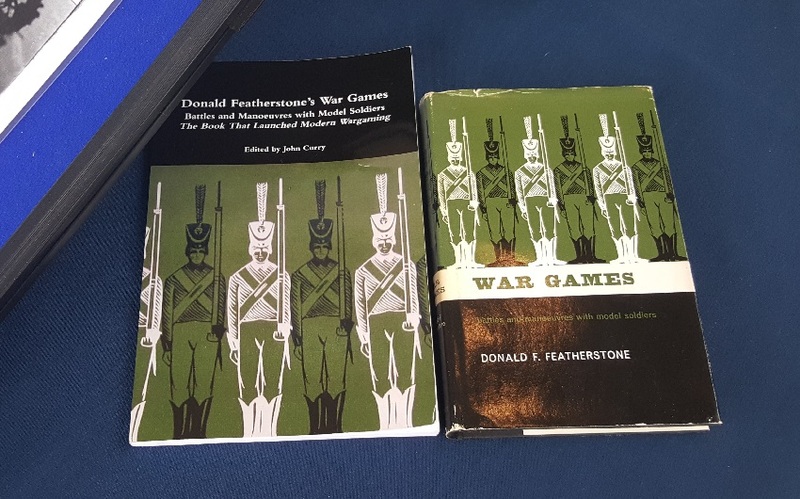 The best known version of the Bath wargame is, of course, in Donald Featherstone's classic guide - if you don't have a copy it is generally available second-hand (usually the prices are a snip) or John Curry has done a reprint. For Northampton Battlefields Society we took along the 1460 Participation Game. It's a nice event, and at times we were quite busy. 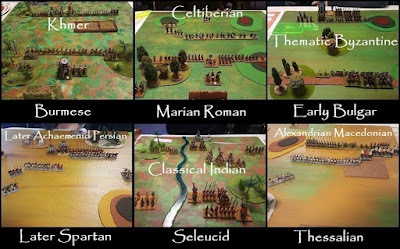 Which is encouraging. 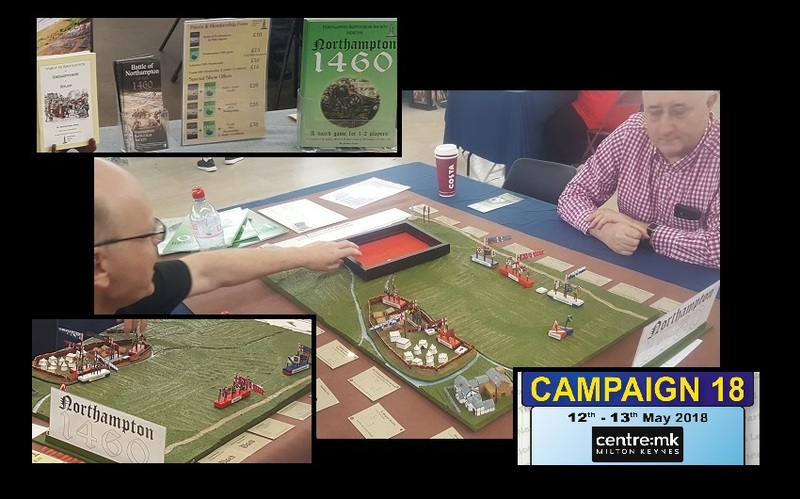 Campaign is probably the most important show on the wargames calendar. 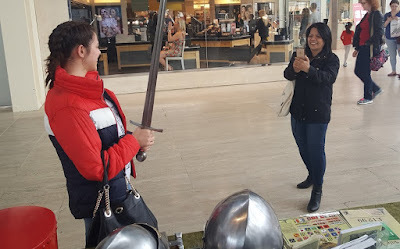 It is the only one I know which really tries, heat on sleeve, to get people interested. 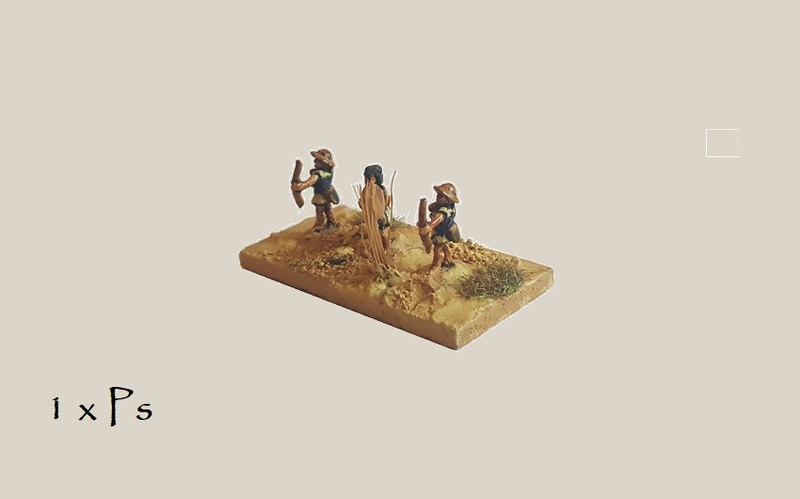 Support them. 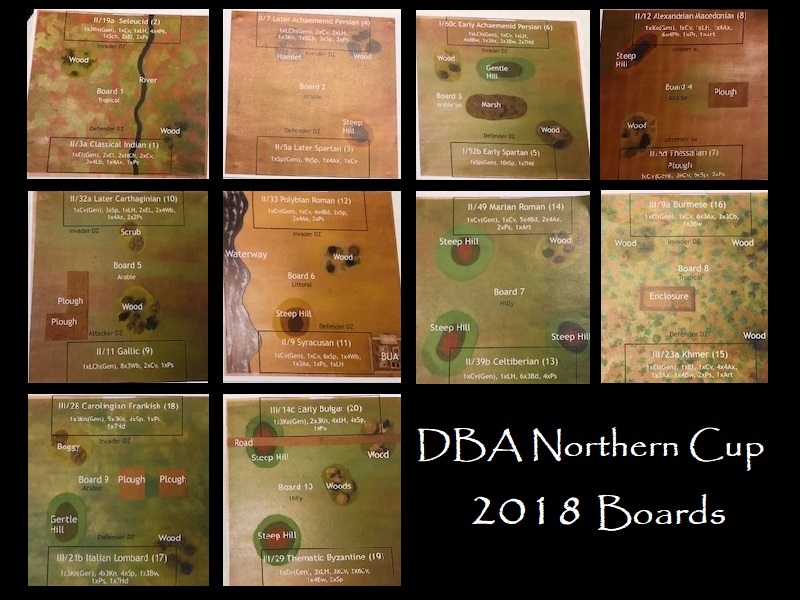 Come next year. 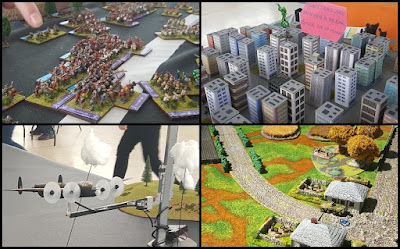 Run a game. 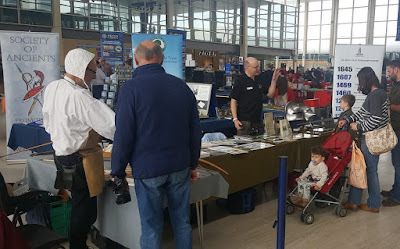 Meet and talk to people.